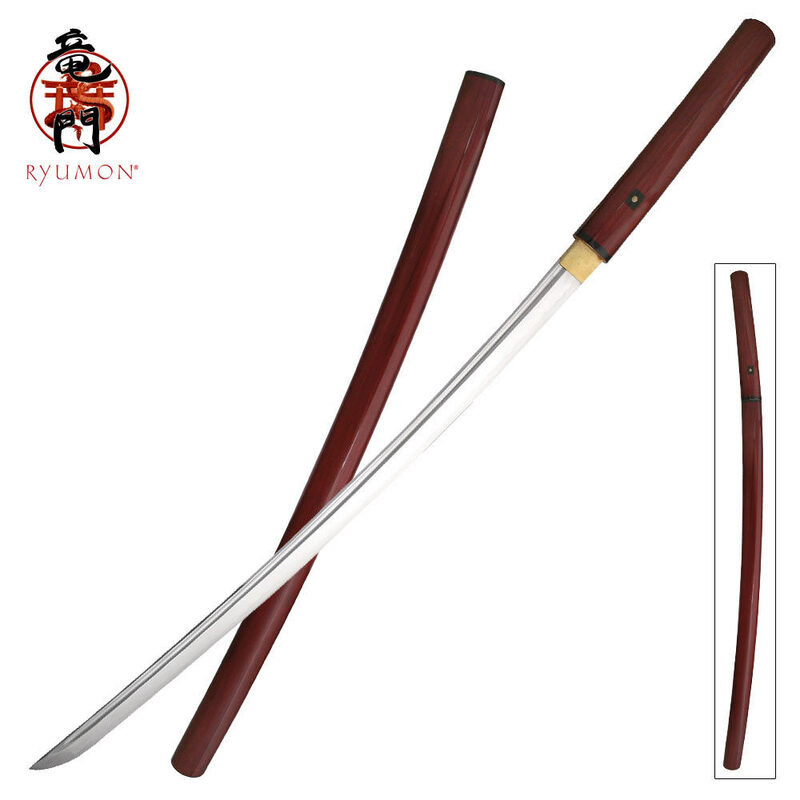 The Ryumon Redwood Shirasaya sword gives you the look of a smooth, finely carved wooden work of art when closed and a mighty Samuria katana when opened! Each 1060 carbon steel blade is hand forged and honed to a razor-sharp edge by master sword makers using time-honored techniques. 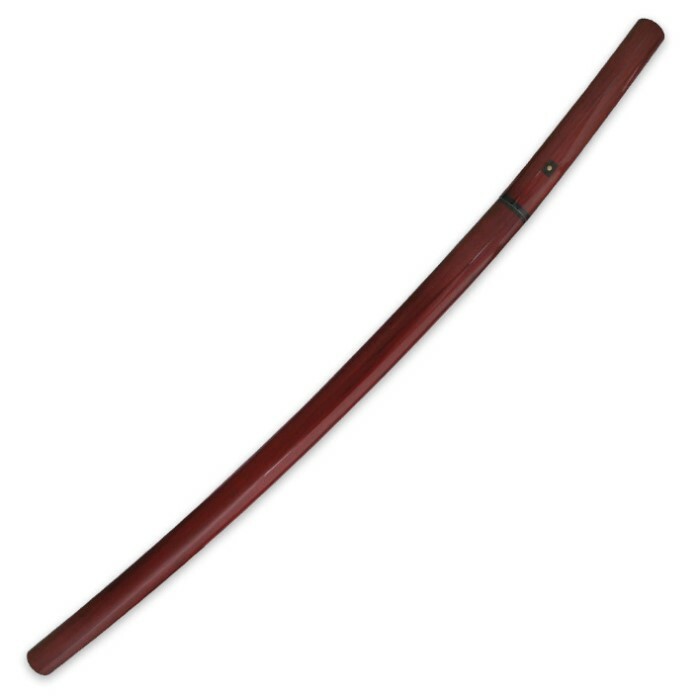 A heavy blood groove spans the blade in the traditional katana design. The high-gloss lacquered finish of the handle and scabbard gives this katana a designer look and feel at an affordable price, and the real buffalo horn koiguchi only adds to its splendor. Each piece is lacquered more than 200 times for a pristine finish. This Ryumon Redwood Shirasaya katana comes to you with a certificate of authenticity, storage bag, reference guide and cleaning kit.